Fake News is very much like the battery we’re told not to put our tongue on. You know what happens next. Direct from the nether regions of the Internet wasteland comes the sparkled brown plinth of pseudo-truth – or, spoken in its native tongue: “fake news”. It’s a journey we’ve resisted undertaking until we could Shanghai a worthy (unpaid) voyager to bring back the most ornate, exotic and off-smelling spices from the far side of the bugle. Yes, we’ve risked extensive malware cancer to deliver pointless snippets of Internet curio, but treat the lack of knowledge within the mystery pages below with due respect and trepidation, for their edges are moist with the blood of perished interns – those befallen by the disclaimer that warned them of the mortal shock that lay in wait, which they sadly ignored. What they look like now will indeed blow your mind, as it did theirs, wallpapering the cavernous interiors of the tomb that echoed their last click. Whether you believe anything below is entirely up to you and your mental dexterity. It’s worth mentioning that we at The Big Smoke take no responsibility for what lies within the box, nor do we trifle with the troll gods or meme lords who created it. We’re simply the vessel. Or carrier. Whichever. Internet Curio #1: Megz Marks starts tattooed freckle trend. Great job, there. As The Boss once illustrated, prior to us planting a bullet in her dome, Yesterday’s ally becomes today’s opposition. The reverse is also true. The long-running antagonists of our youth suddenly become the darlings of today. We’re unsure why, things just change. And they tend to change, unheralded. I’m speaking of course about freckled people. For some reason, they’re suddenly vogue. 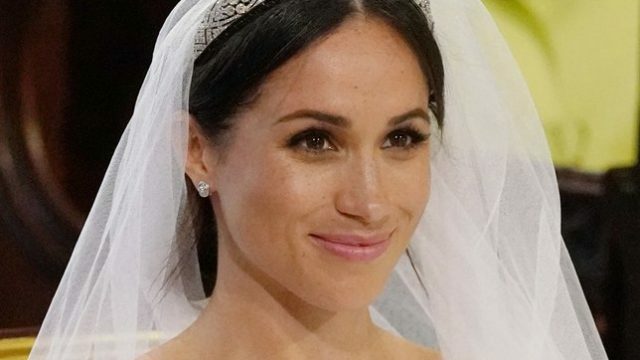 I don’t want to point any fingers, but the genesis of this trend is Meghan Markle. Apparently, people are so enamoured by her freckles, that they’re tattooing their own derma. I mean, Meghan is clearly about tearing down long-running easy prejudices. She did, after all, marry a ginger. And yes, while her kid will be a red uber freckle, I can’t help but feel slightly triggered. I don’t want to make this about me, but I was one of them. One of the spotty sun blain horde, those who were verbally picked on, those who had their blemishes joined by the sweep of a posca. There was no celebrity endorsed fun for this little-speckled duck, just a foot upon my dalmaitianed person. Nevertheless, this is who I was, and I was proud of it. Kids, you might blemish your own skin, but you didn’t earn the imperfections as I did. Internet Curio #2: Joke of a person becomes an even bigger joke. Recently, we all pointed and laughed about the protracted legal proceedings of Michael Rotondo, the man who was court-ordered to move out of his parent’s house. The filthy nadir came when Infowars’ Alex Jones gave him a loaner. That might be the latest example, but somewhere in a loungeroom littered with abandoned mi-goreng, ennui and unwashed clothes, a television was clicked off in anger, as Duane Hollingsworth looked into his reflection, face reading anger, mind racing with the thought I did it first. Well, that much is true, inasmuch as it is false. The story of Duane Hollingsworth, the 35-year-old man kicked out of his Mother’s basement is a piece dated eight months ago, published by the satirical publication National Report. This brings another meta-level of insult to Rotondo. The fact that the most ridiculous thing the writer could invent was the threats of legal action in a Power Ranger t-shirt, whereas reality gave us so much more. The fact that Rotondo is a joke is abetted by the fact that he trumps an actual joke. He’s so pathetic, he’s beyond satire. Maybe he should apply for a position in the Trump Administration. Internet Curio #3: Depressed man sues McDonald’s after the cognitive powers of the Happy Meal didn’t work on him. And finally, from the great minds that brought you the lawsuit against the movie The Neverending Story and the man who was arrested for murdering his imaginary friend comes the tale of the man who sued McDonald’s for not feeling that happy after his McHappy meal. Which, look. False advertising, eh. This is the case of Ruben Caradehuevo, a depressed man that sued McDonald’s for about $1.5 million dollars because after he ate his happy meal, he was still depressed. “I bought my happy meal, thinking that that would be the perfect solution for my depression”, Caradehuevo relates. He kept going: “I started eating and I was half way done, but my depression was still there”, he states. After finishing his food, the depression hadn’t still gone away, and he got really pissed. I mean. Depression is no joke. If you’re going to joke about it, be better. Dress it as a life lesson. Not as reconstituted cheese.